Huawei Mate 8 Specifications:-Â Huawei is one of the top Chinese mobile manufacturers, HuaweiÂ has been slowly taking its place on the worldwide smartphone market. With intending the HiSilicon Kirin processors, the Huawei Ascend Mate smartphone line has been recognized as a proper competitor to most high end devices on the mobile market today.Â Huawei has been releasing a couple of really attracting devices last year and their results reflects in in their financial results.Â Many speculations have hit the web in the recent months, regarding the successor of the Huawei phablet, the Ascend Mate 8. It seems that the Mate 8 will harness the power ofÂ Â the newest HiSilicon Kirin Â 940Â processor series.Â This China-based company has managed to increase their profits, and devices like the Huawei Ascend P7, Ascend Mate 7 and Honor 6 Plus definitely helped out. Huawei not only manufactured good hardware, but they also gaze their eyes on their software offering, their Emotion UI Android skin. This UI is now a lot flatter and quite frankly more enjoyable to use. The company has also released their first Android Wear-powered smartwatch at the Mobile World Congress (MWC) , and surprised many people with this sleek wearable offering.Â Lets have a detailed look atÂ Huawei Mate 8 Specifications. Huawei Mate 8 Specifications reveals that it packs with the 6.0 inch screen 2K displayÂ allows the user to view videos and play games at a comfortable size as well as clearly due to this phone’s 1440 x 2560 pixels display resolution. It runs on Android 5.0 lollipop out of the box with Huawei’sÂ EmotionUI 3.1 skin on top. According to rumors that the new Mali-T880/T860 graphics processors are 1.8 times better than the current generation Mali-T760, which will further improve upon the loading power possibilities, reducing it by as much as 40 percent. They have lower power consumption as compared to its predecessors.So this improves on the overall performance and while lowering the needed power consumption. This also reduces heat problems in devices, delivering a better everyday mobile experience. Huawei Mate 8 SpecificationsÂ has the advantage or merit of its processor which is powered by a 64-bit processor Kirin 950 ticking under the hood combined 3 GB of RAM. The device houses 64 GB internal storage which can be expended by microSD card up to 128 GB which is hardly seen in any other smartphones. So in terms of storageÂ Huawei Mate 8 Specifications grasps our attention towards us. With the high end dual cameras, front 8.0 MP, black 16.0 MP with flashlight auto focus,you can record the happy moment easily. It is absolutely a good choice to buy Huawei Mate 8.Â For connectivity it sportsÂ WIFIÂ 802.11 b/ g/ n. Bluetooth 4.0, MicroUSB, 3G, 4G-LTE. The smartphone measuresÂ 143.00 x 70.60 and weigh 131 g. It supports theÂ USB 3.0 and Cat.7, Cat.10 Â and the new OctaCore processors from Huawei will be able to improve the data transfer and speed of brisk devices. 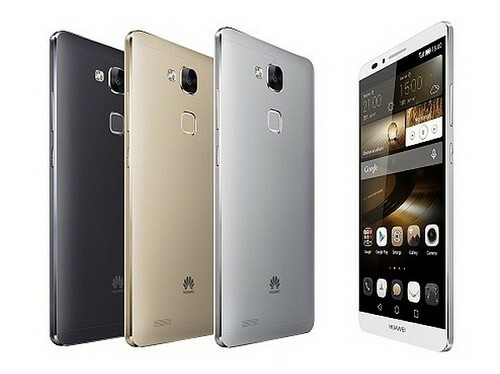 Huawei Mate 8 would go on sale in May 2015. There is no word regarding its price. I simply could not leave your website before suggesting that I extremely loved the usual information a person provide for your visitors?